Created by the skincare visionary known worldwide for his scientific innovations, Dr. Howard Murad, a board-certified dermatologist, Murad skincare is designed to effectively address what every skin type needs to become healthy skin. 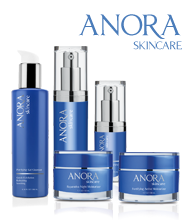 This revolutionary line of anti-aging products is the first of its kind, bringing about significant results without surgery through a combination of internal and external formulas. Dr. Murad, nicknamed “The Father of Internal Skincare,” launched his skincare line in 1989. He has received numerous distinctions including “Best Forward-Thinking Doctor” by Vogue and has reshaped the skincare industry with his innovative formulas. Through the use of dietary supplements coupled with external skincare products, Dr. Murad’s creations have stood out among other brands. He is also widely known for pioneering the use of alpha hydroxy acids (AHAs). Today, Dr. Murad continues with his skincare innovations and leads the way with revolutionary research techniques to bring back the return of healthy, youthful skin. You can find some of his best-selling products like Murad Refreshing, Murad Intensive Wrinkle Reducer For Eyes, and Murad Perfecting Night Cream.